This book will help you use your time and resources effectively to build the best e-learning experiences possible within your contraints. As with the other books in this series, this book is geared toward pragmatic application. It's direct and to the point: here's how to connect with your learners, how to empower learning to make the most of e-learning's capabilies, and how to orchestrate learning events for maximum impact: CEO—connect, empower and orchestrate. 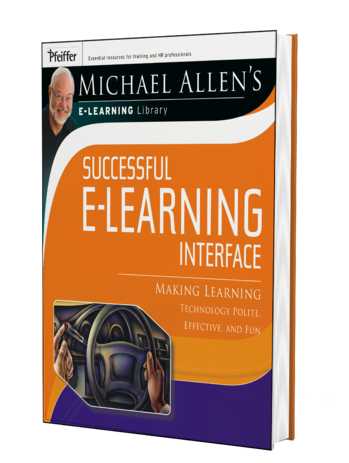 Successful e-Learning Interface is the third book in the Michael Allen's e-Learning Library series. Using this hands-on resource will maximize your CEO impact--connect, empower, and orchestrate. You will understand how to connect with your learners, how to empower learners to make the most of e-learning's capabilities, and how to orchestrate learning events. Once again Michael Allen has zeroed in on a critical, yet often overlooked, aspect of e-learning development. This book sheds light on the importance of learner interface design, and offers readers clear guidelines for designing interfaces that support the learner and increase impact. 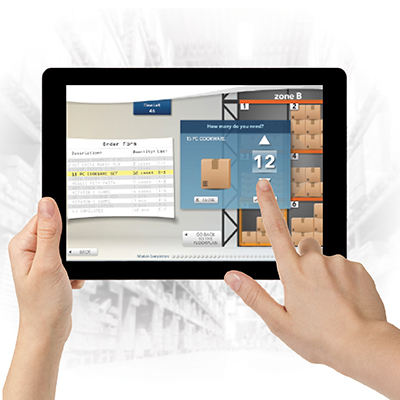 It will be a valuable asset for any e-learning developer who is committed to producing truly world-class e-learning.